Cleveland Alzheimers Residential Centre Limited (Cleverarc) is set to host two Dementia Friendly tea dances at the Acklam Green Centre as part of the Dementia Friendly Middlesbrough initiative during August. 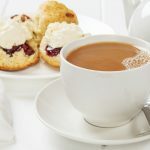 On Wednesday 1st August and Wednesday 29th August invited guests comprising of those living with dementia and their carers from the Middlesbrough community will enjoy a traditional tea dance in the centre’s Roseberry Hall. Guests will enjoy entertainment from Good Vibrations Mobile Disco, who will play a selection of 50s, 60s and 70s music designed to unlock memories from years gone by, as well as a selection of cakes, scones and tea and coffee courtesy of Café Connect, Acklam Green Centre’s in-house caterer. 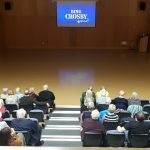 Brian Rowcroft, Dementia Friendly Middlesbrough Business Engagement Lead at Cleverarc, said: “The benefits of dancing and music are well known for people living with dementia to help them stay active and re-establish memories. Many people danced when they were young, so these tea dances will provide an opportunity to relive those past experiences, while enjoying company and staying active at the same time.